Gather your friends and come and un-wined Sherwood on Thursday, April 18th for food and drink specials and a chance to win some fun prizes. 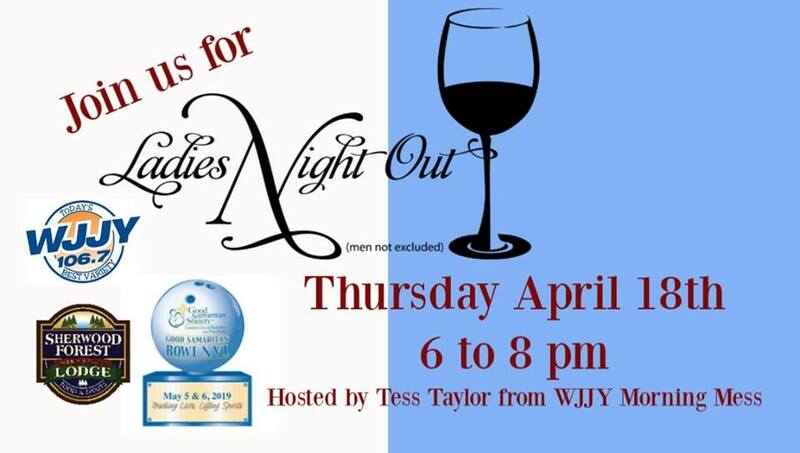 Tess Taylor is our hostess with the mostess for our Ladies Night out on third Thursday at Sherwood from 6 to 8 pm. This month we are raising money for the Good Samaritan Bowl. Be sure to RSVP using the link below to be entered into a bonus drawing.